This week was the turn of our off-road riders to bring home the big results but there was still some action on the road as well. Chris Wilson was in action at the Hentsridge crit race last week to finish in 8th place. A great result in a fast paced race, where many were dropped early on. A break by a front group of six were always in Chris' sights and it was 8th over the line for Chris in the end. There was plenty of action off-road where Tony Revell and Sam and Dani Humphrey were back in the national series, this time in Builth Wells. It was a win for Dani at the event, which gives her the win for the national series overall and she still tops the national rankings. Sam also won his category, which gives him a brilliant 4th for the series. Tony was 5th in this event, which gives him 3rd in the series - another great performance at a very competitive event! 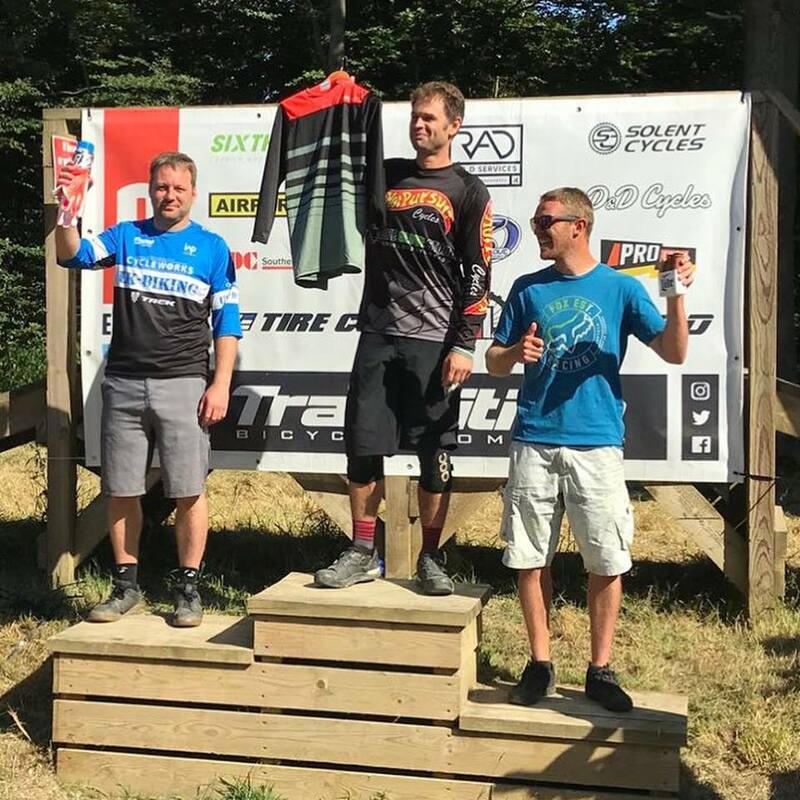 Marc McHale and Steve Atkins were at the Southern Enduro event at the Okeford Hill bike park, where both riders finished a brilliant second place in their categories on their Slash and Fuel Ex Trek bikes. 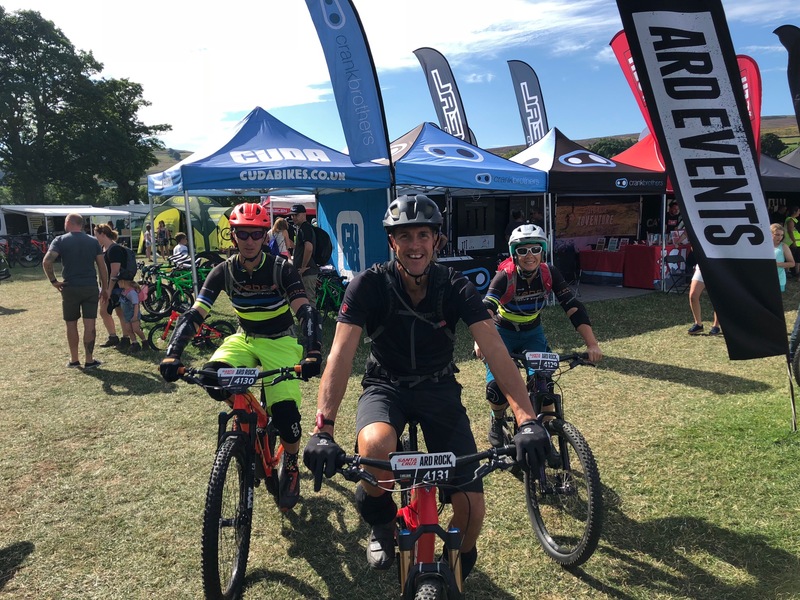 Finally the Weber Creative - Bournemouth Cycleworks team were also in action with Stu King, Julia Hamlyn and Paul Mansfield competing in the Ard Rock Enduro in Yorkshire. A tough but epic race, brutal climbs and technical descents, where Stu was 31st of 322 that finished in the Sport Male Vets, Paul was 43rd in the same category. Julia was a very impressive 2nd of 27 that finished in Sport Female Vets. All thanks to their amazing Trek bikes (Slash & Remedy) that didn’t miss a beat! Stu, Paul and Julia ready for the off! All these great results are not possible without the fantastic support we get from our sponsors, including Ford Civil Engineering, Vitec Ceilings and Partitions Ltd, Manuel Builders, Gibbs and Dandy Bournemouth, Hill & Son Ford Service, Mark Hooper Tree Care IW Price & Partners, in8 Creative Design and E3Coaching. And of course our title sponsor Bournemouth Cycleworks, who provide many our riders top quality Trek speed machines and Bontrager equipment across all disciplines to race on.